John Snell (c1628-1679) endowed the Snell Exhibitions at Oxford, to assist former students of the University to pursue their studies at Balliol College. Snell also donated a collection of his books to the University. Born in Ayrshire, Snell attended the University 1642-1644 but did not graduate. He served in the Royalist army during the Civil War and settled in England after the Battle of Worcester in 1651. He became an assistant to Sir Orlando Bridgeman, who was appointed Lord Keeper of the Privy Seal in 1667. Snell became Seal-Bearer and, in 1673, the secretary to the Duke of Monmouth. Snell gave valuable books to the University in 1661, and was made MA the following year. He made other financial gifts before his death. 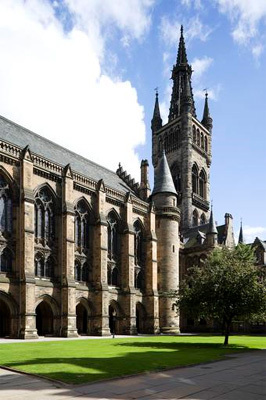 In his will, he provided for the "maintenance and education in some Colledge or Hall" at Oxford of at least five Scots who had studied for at least a year at the University of Glasgow. Balliol College was subsequently selected as the one to receive the "Snell exhibitioners", and the first four were admitted to the college in 1699. The economist Adam Smith, the mathematician James Stirling and the moral philosopher Edward Caird are among the most famous Snell Exhibitioners.